From the very beginning in the late 1950s of the basic ideas of optimal control, attitudes toward the topic in the scientific and engineering community have ranged from an excessive enthusiasm for its reputed capability of solving almost any kind of problem to an (equally) unjustified rejection of it as a set of abstract mathematical concepts with no real utility. The truth, apparently, lies somewhere between these two extremes. 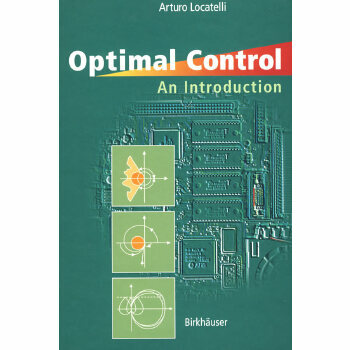 Intense research activity in the field of optimization, in particular with reference to robust control issues, has caused it to be regarded as a source of numerous useful, powerful, and flexible tools for the control system designer. The new stream of research is deeply rooted in the well established framework of linear quadratic gaussian control theory, knowledge of which is an essential requirement for a fruitful understanding of optimization. In addition, there appears to be a widely shared opinion that some results of variational techniques are particularly suited for an approach to nonlinear solutions for complex control problems. For these reasons, even though the first significant achievements in the field were published some forty years ago, a new presentation of the basic elements of classical optimal control theory from a tutorial point of view seems meaningful and contemporary. The book reflects the author's experience of teaching control theory courses at a variety of levels over a span of thirty years. The level of exposition, the choice of topics, the relative weight given to them, the degree of mathematical sophistication, and the nature of the numerous illustrative examples, owe to the author's commitment to effective teaching. The book is suited for undergraduate/graduate students who have already been exposed to basic linear system and control theory and possess the calculus background usually found in any undergraduate curriculum in engineering.